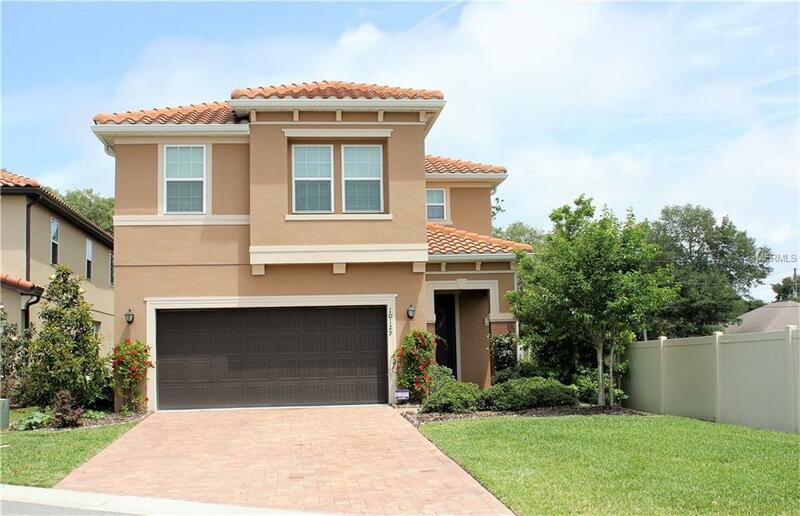 SIMPLY STUNNING HOME IN THE DESIRABLE GATED COMMUNITY OF THE COVE AT BAY PINES. Built in 2015 this property has many upgrades and finishes and is the largest premium lot in the community.This home will not disappoint even the pickiest of buyers.Just minutes from the beautiful beaches, Bay Pines, great dining and the new Seminole City Center this home has it all. The moment you enter you are greeted with an open floor plan with plenty of natural light. The home has tall ceilings and plantation shutters to give it that added elegance. This home is a 4 bedroom and 3 full bath home with a bonus room that can be used as an office or a 5th bedroom downstairs.The beautiful living room/ dining room combo is great for relaxing or entertaining friends and family. The gourmet kitchen will please the cook in the family. It has stainless steel Whirlpool appliances, granite countertops, a breakfast bar, pantry and so much more. It has ample counter and cabinet space for all your cooking needs The downstairs also has a full bathroom. Head upstairs to the spacious loft area that boasts premium built-in Bose surround sound. The Master is on one side of the upstairs away from the other 3 bedrooms. The master has his and her walk-in closets and tray ceilings. The bathroom has dual sinks and a jetted tub with a separate shower. The 3 other bedrooms are spacious and 2 of them have walk-in closets. Outside in the backyard, it has a beautiful travertine tile patio area to enjoy time with the family. The yard is also large enough for a pool. All this home needs is YOU. Welcome home!!! Additional Lease Restrictions For Leasing Restrictions Check With Assoc. Management.